Android digital signage from Dynamax provides an entry level application for use on Android hardware. digitalsignage.NET, our cloud-based digital signage system, is an easy-to-use application that allows you to manage your content and screens remotely, from any web browser. 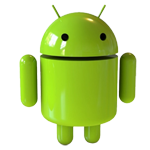 There are a wide range of Android based hardware available today for users to choose. Just because the hardware is not expensive, don’t think that it cannot perform. The digitalsignage.NET Android solution supports a range of media formats, including HD video, so you or your clients can save money, without compromising on quality. For more information about our Android application please contact us. 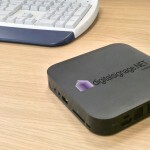 You can also set up a digitalsignage.NET account for FREE here and see how our software works. Interested in reselling our digital signage products? We are actively recruiting Value Added Resellers, so if you would like to offer our Android digital signage solution to your clients, don’t hesitate to get in touch.